Nearly all raised their hands ... every year for more than 10 years. I then told them the statement was a lie! I urged them to think of this when they practiced and played their games. The other day, I was reading a story about the success of Duke University football coach David Cutliffe. 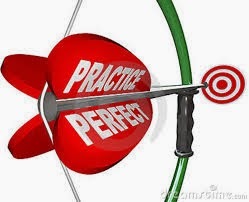 Perfect practice makes perfection permanent. Good advice for association professionals.